Shane A. Bygrave or, as he’s known on the Esato board, echo.shane has just shown the world 2 brand new Sony Ericsson concepts, Nene, a handset that’s part of the Unlimited Entertainment series and SE Wallet, a concept we’ve seen before in a teaser. 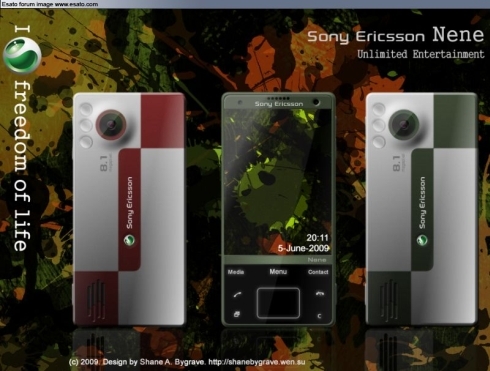 Sony Ericsson Nene incorporates a 8.1 megapixel camera and I have to say that I love its colors and design. The designer has promised that he’ll soon publish the specs and more pics of the concepts, but till then I can notice a pretty decent screen on the front side of the Nene phone. The keys below it seem touch sensitive, but I’m just guessing here, so don’t throw stones just yet. 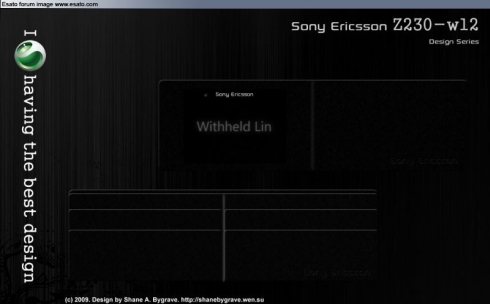 Moving on to the Sony Ericsson Wallet, or the Z230-w12, as the designer calls it, I have to say that I don’t quite get what this product is, but we’ll get more info in the following days. It could actually be a wallet… like its name says.